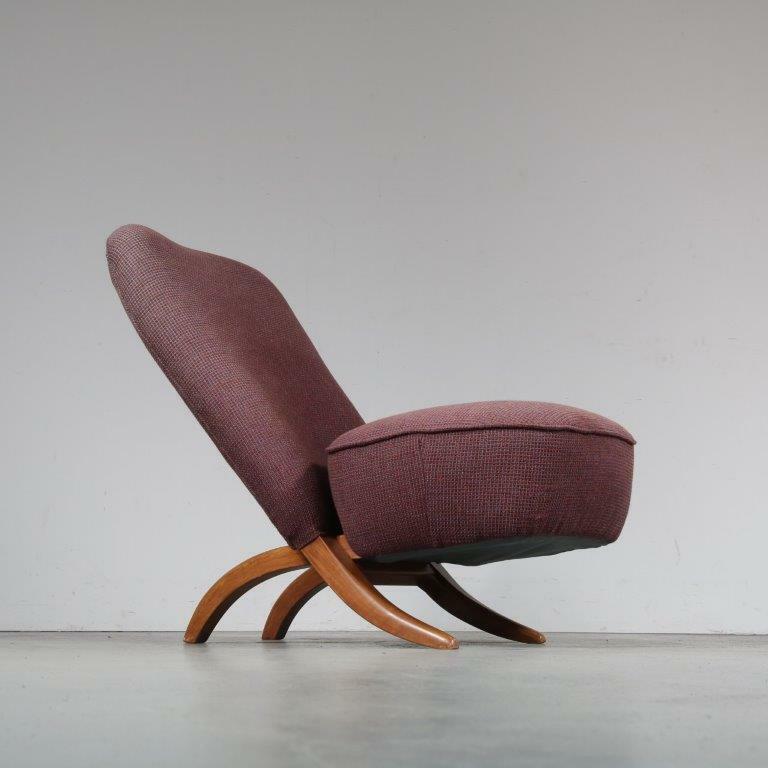 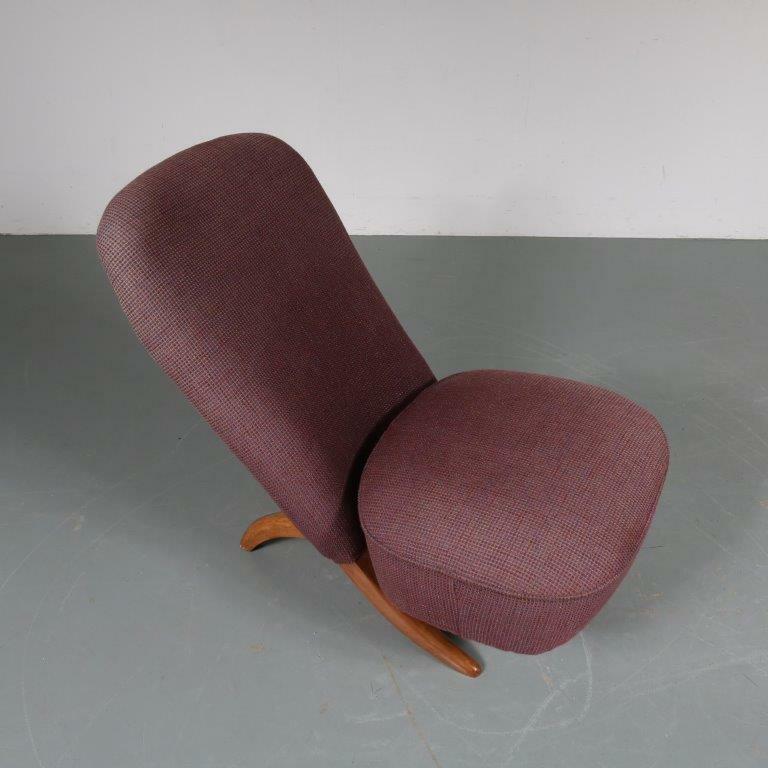 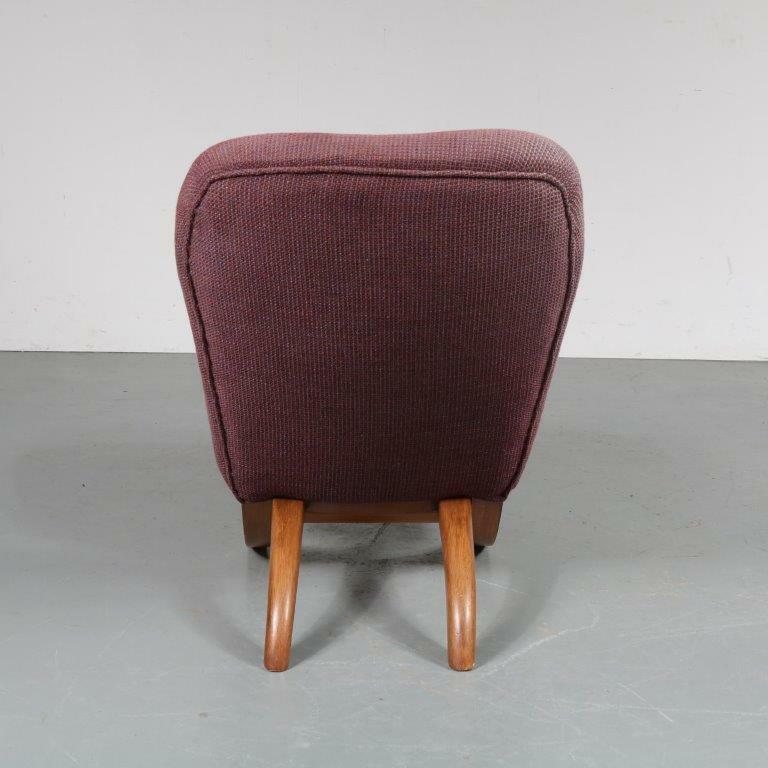 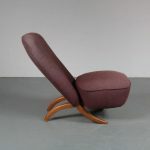 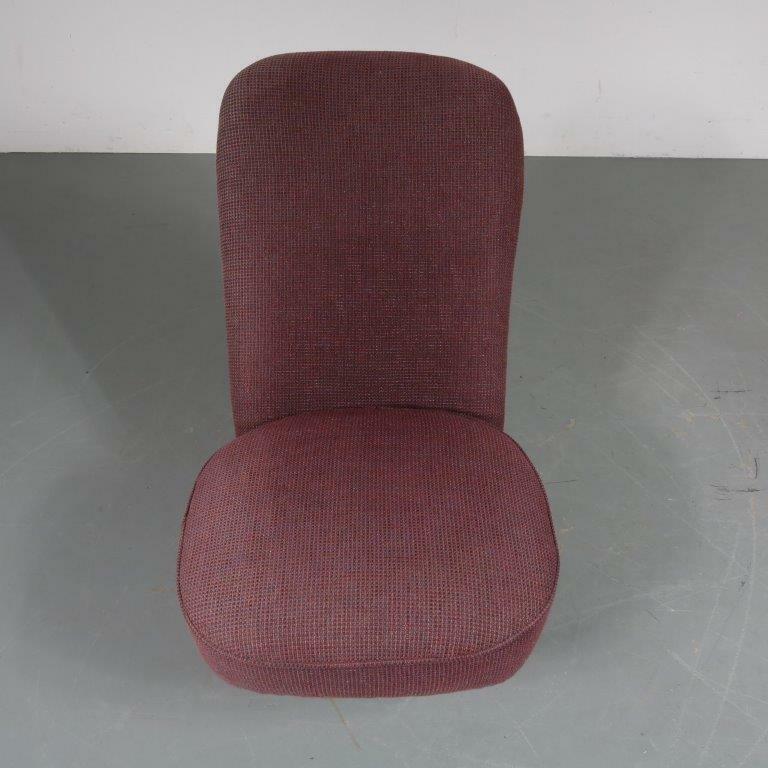 A beautiful Dutch design chair, model Congo. 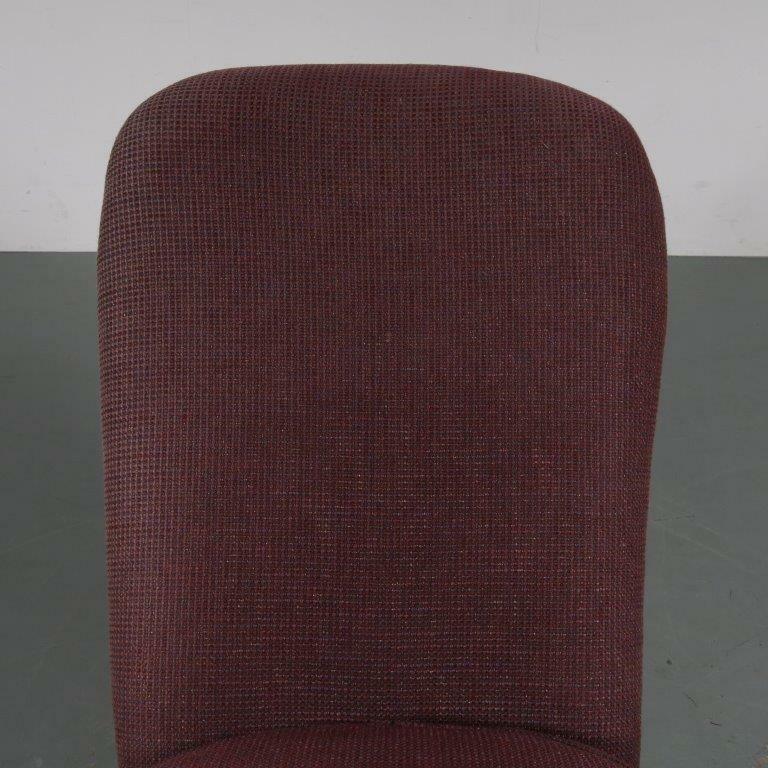 The seating and back are divided in two interlocking pieces, which was a unique feature at the time. 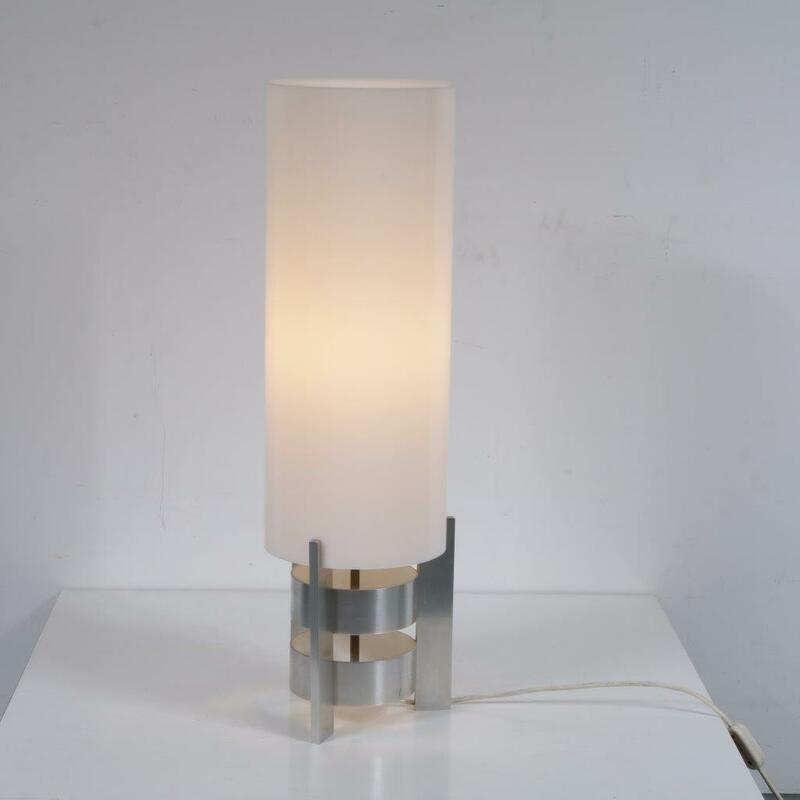 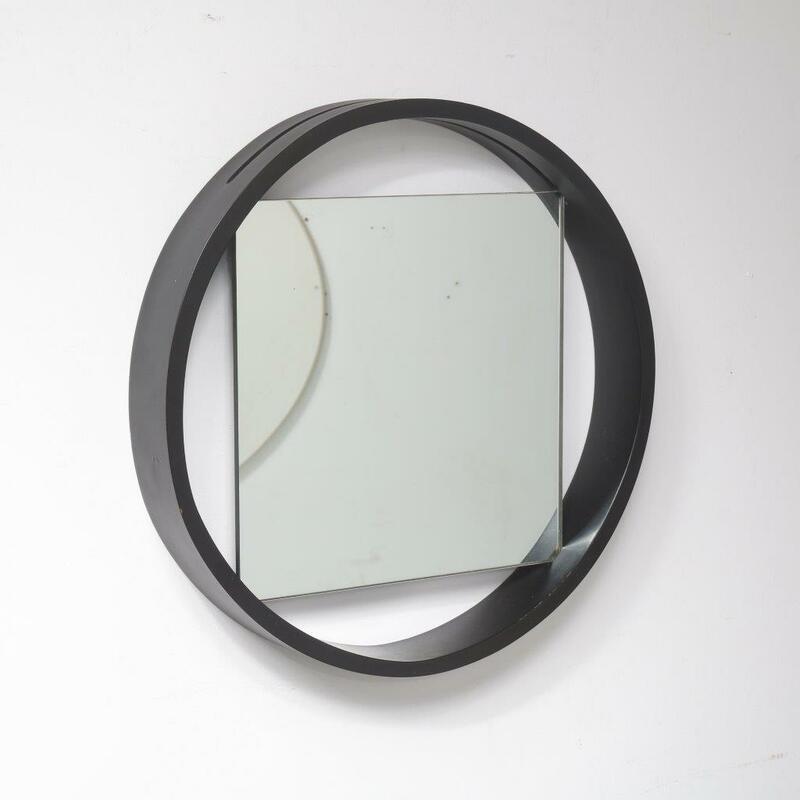 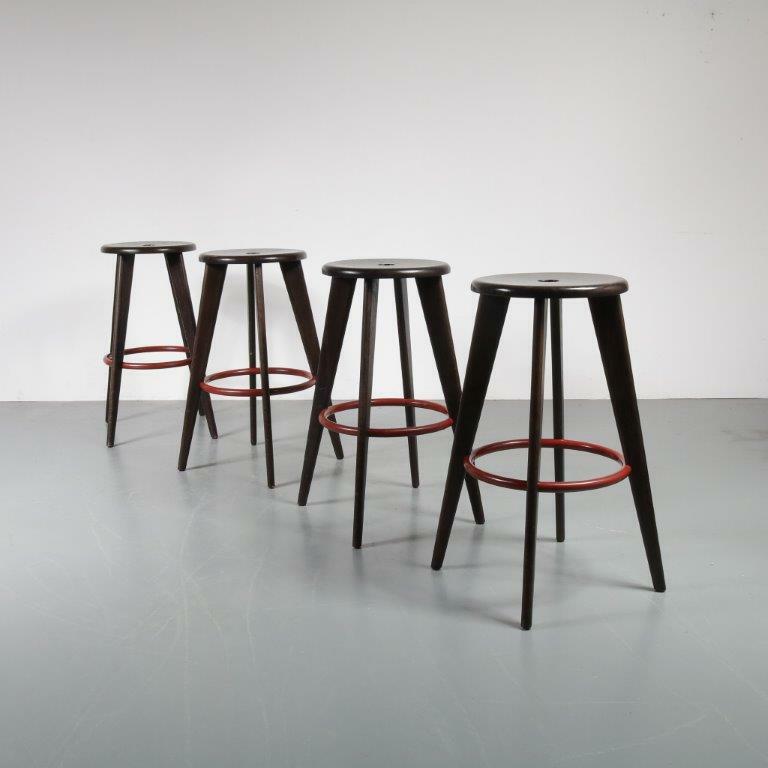 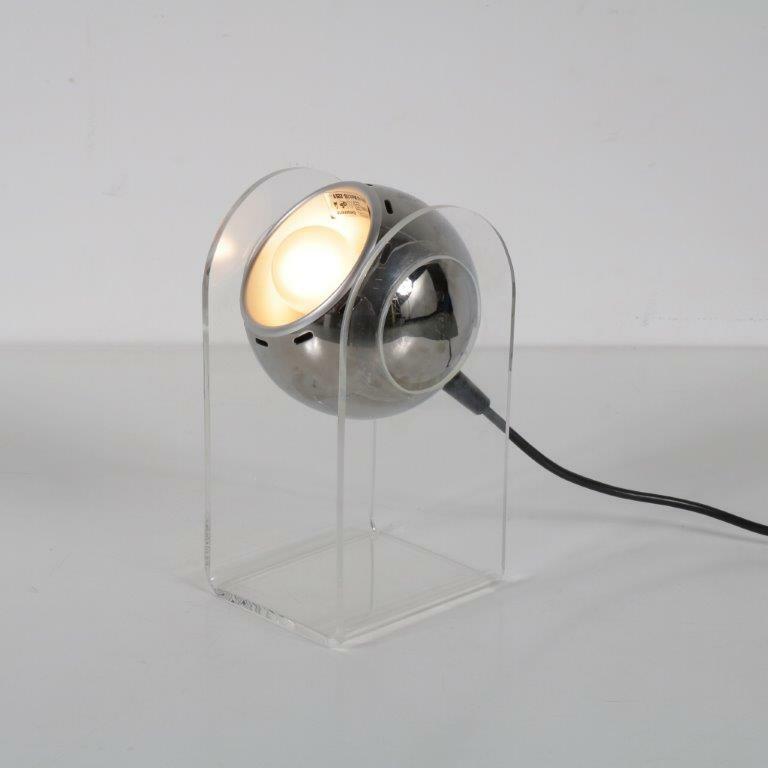 This stunning piece of Dutch design would make a real eye-catcher in any interior! 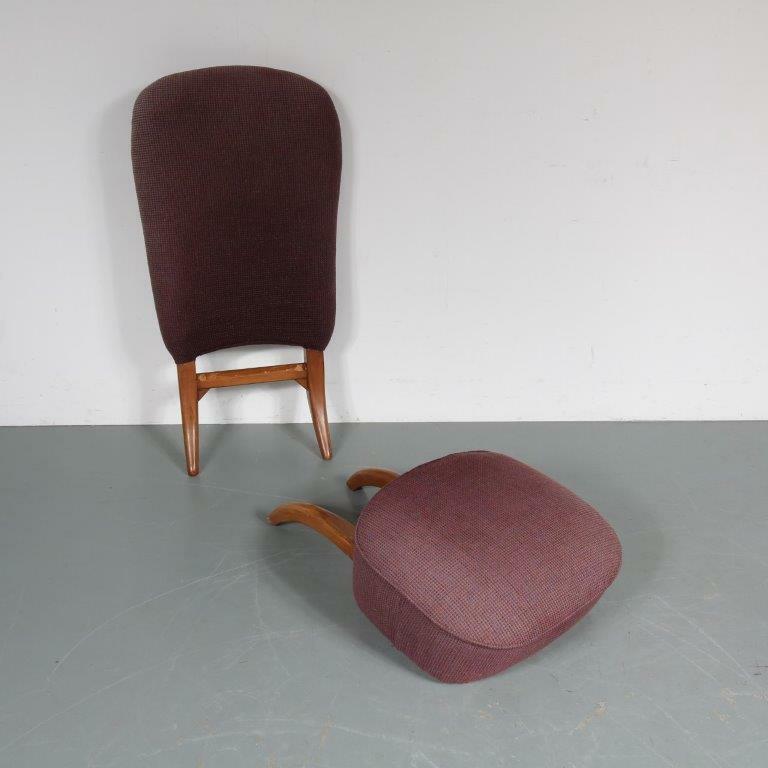 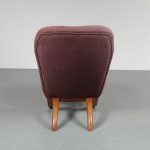 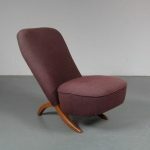 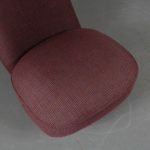 Original finished beechwood frame and original brown / purple upholstery.